Emma Ríos (PRETTY DEADLY, I.D.) and Hwei Lim (Lalage, Hero) team up for MIRROR: THE MOUNTAIN, collecting the first five issues of the otherworldly fantasy into trade paperback this September. The mage-scientists of The Synchronia have terraformed a portion of an asteroid, a tiny fragment of a once lush world. An unexpected side effect arises in the spontaneous sentience of the animals sent to test the environmental conditions. This is the story of what happens next. 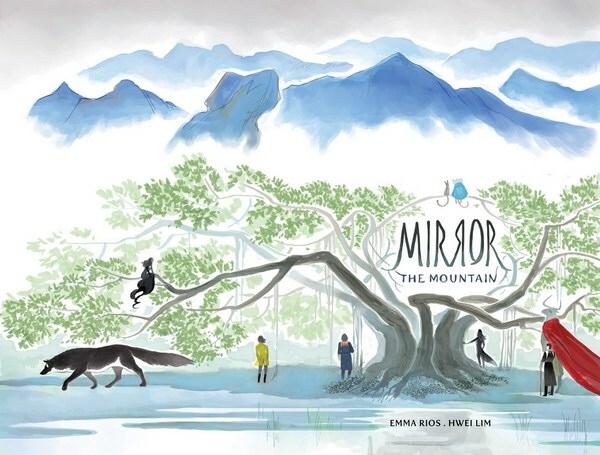 MIRROR: THE MOUNTAIN includes 180 pages of story, world-building mini-comics, and extras. MIRROR: THE MOUNTAIN TP (ISBN: 9781632158345) hits comic book stores Wednesday, September 14th, 2016 and bookstores Tuesday, September 20th, 2016, and will be available for $14.99. It can be ordered by retailers with Diamond code: MAY160680. It can be preordered now via Amazon, Barnes & Noble, Indiebound, and Indigo.